It’s funny, the things you miss about home. Of course, family, friends, and loved ones are a given, but it’s the other things that are more interesting. I miss basketball. Man, I miss basketball. In the past five months, I’ve seen one NBA game: Warriors vs Thunder. That was November. I miss playing guitar. I spent the last year before travel building up calluses, and now I’m back to square one. I miss home-cooked food. One can only survive on steam buns and dumplings for so long. I haven’t craved potatoes this much in my life. Hell, I’d go crazy for a bagel. It’s hard to believe, but after five months on this side of the world, it’s time to go home. I hear the refrain again and again: Winter is coming. I dreaded those words once upon a time; not so much anymore. Back to the cold we go. The great secret of travel isn’t what you come to learn about other places; it’s what you come to appreciate about where you’re from. Just as it shows you the world, it shows you a new side to the world you left behind — the gift of perspective. The best part? Each time you leave, you come back with something new. 2. Petting dogs without fear of rabies. 3. Beds without bed bugs. 1. 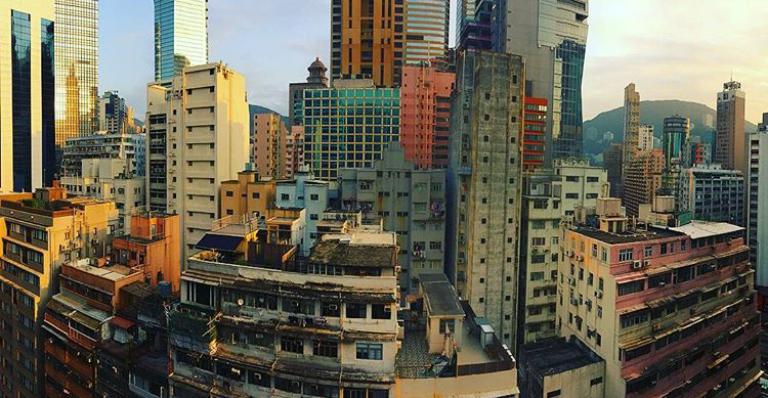 There’s New York-small, and then there’s Hong Kong-small. We rented an apartment for the week that, if being generous, might be 250 square feet. The showerhead is right above the toilet — which makes for an interesting experience, no matter which appliance you were planning to use. 4. Side note: guess whose portraits were on the walls of our homestay in Hoi An? Marx’s, Lenin’s, and Ho Chi Minh’s. Welcome to Vietnam. 1. The many lights of Hoi An. Old Town has a distinct charm, its streets filled with cafes and tailors. It’s a UNESCO Heritage Site for good reason. Wandering through at night gives the streets an added touch of magic, as colours across the spectrum illuminate the night sky. Ho Chi Minh City seems to spread out forever. Our hostel window looked out onto the sprawling metropolis, offering one of the best views in the whole city. Hong Kong’s skyline, on the other hand, is in a category of its own. The view from Victoria Peak on a clear day is unparalleled. Hong Kong has a vibrancy to it that’s hard to capture. Watching it transform from day to night is a spectacle unto itself.